To really start to understand Mate, you have to drink it more than a hundred times. Mate was originally an indigenous ritual. Today, however, it is often consumed from a bottle. MateLeaks explodes the myth of the bottle for Mate-fans and takes the reader back to the roots of a tradition that is fading away with industrialization and globalization. Firs printed in December 2013, the Mateleaks booklet features original photos from the Meta Mate production. There are many signs that international food-trade and green-energy policies are ignoring human rights. This is also evident with regards to Mate. The native Mate drinkers, the Guarani Indians, are fighting an impossible battle and their struggle continues with their eviction by local ranchers. In 2011, farmers who claimed rights over the tribal lands brutally murdered the Guarani chief Nisio Gomes. Indigenous rights activists are indignant at the Government’s lack of response to this, not the first of such confrontations. The current situation of the Guarani Indians is a taboo topic in South American society. The people who gifted Mate to the world are now victims of those who make a fat profit from cattle ranching, soya plantations, and sugarcane. The Caayari (sworn protectors of the Earth), once roamed the Atlantic forests harvesting Mate and living in harmony with the forest. Their descendents have since been marginalized by the colonisation and urbanisation of their lands. Now they find themselves selling artifacts on street corners for a few coins. For more information about the Guarani and the work being done to fight for their rights, please visit Survival International‘s page. Hopefully someone will one day translate the book Hacker Brause into English. This would mean everyone would be able to read about the historical development of Mate hacker drinks. A small family brewery near Munich produced the first Club-Mate in the 1920’s. Now it is slowly taking over Coca-Cola in Berlin’s soft-drink scene. It boasts a strong presence in most cafes, clubs, shops and sub-cultural scenes. Other hacker spaces in the USA and Australia have also started to import Club-Mate. Meanwhile, in the European (especially German) market, the range of Mate-Sodas widens with drinks like Flora Power, BioZisch Mate, Buenos Mate etc. increasing in popularity. New to the market are also underground drinks inspired by open-source culture, such as Munter Mate, 1337Mate and Kolle-Mate. 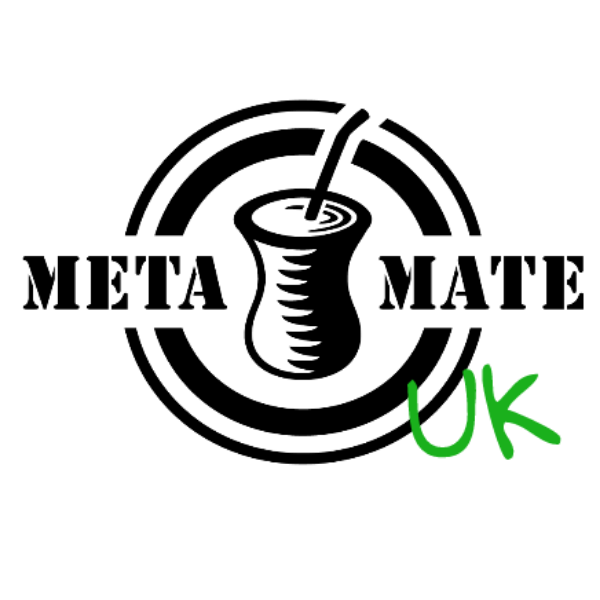 Over the past years, the growing number of hacker conferences taking place world-wide have adopted Mate as their drink of choice. Mate is equally as integral to such events, as beer is to a football game. Hackers converge from all corners of the world to exchange ideas and information around their metaphorical hearth or source of light: the computer. This is just like how the Guarani used to share knowledge and other immaterial goods in a Mate circle. Mate lectures, DIY Mate Workshops, and Mate databanks are as much in demand at such events as cryptography crash courses. Here, a constant and varied supply of Mate beverages is as essential as a fast internet connection. Conferences such as the Exceptionally Hard Soft Meeting and Chaos Computer Congress (c30.de) have teams that are responsible for ensuring the Mate supply. Mate Workshops are a highlight at events such as the OHM2013 or the Caffeine Hackathon, where there was an elaborate menu with Mate. There are a growing number of online communities dedicated to Mate. These range from blogs written by independent Mate fans such as www.mate-blog.de, to regional groups of Mate fans such as mateman.ru or the Circle of Drink. All use the internet to network with Mate drinkers worldwide. That being said, there is nothing that can replace the true Mate ceremony. The ritual of taking the time to sit down and connect with someone, sharing a cuia and a conversation, should not die. As noted in the book Mate Leaks, South America faces Mate shortages due to the increasing demand of soya production. The global food industry dictates this increase in demand. This, combined with the growing popularity of sugarcane plantations for ethanol, has led to the cutting down of many native Mate forests. Understandably, the farmers are persuaded by government subsidies to trade in their erveiras for plantations. The repercussions of the felling of Mate trees is demonstrated in the sharp increase in Mate prices over the past couple of years. In the meantime, the drink of the common man in South America is turning into something more luxurious. This lack of respect for the precious roots of Mate is unacceptable and Meta Mate refuse to go with the flow. Meta Mate is working closely with the HNE University in Eberswalde and select partners to implement a long-term, sustainable Mate harvesting program that promotes reforestation. Read more about this pilot project here. The Argentinean government is reportedly trying to regulate the export of Mate in order to protect local markets. How this will affect the European Mate industry, which relies heavily on Argentinean Mate, is yet to be seen.